National Sports University, Imphal, Manipur, inviting applications for Admissions in to Under Graduate and Post Graduate Courses Physical Education, Sports and Sports Coaching for the academic year 2018-19. Eligibility: Bachelor’s Degree in Psychology /Graduate with Psychology as one of the Subjects / Bachelor’s Degree in Physical Education with 50% marks. 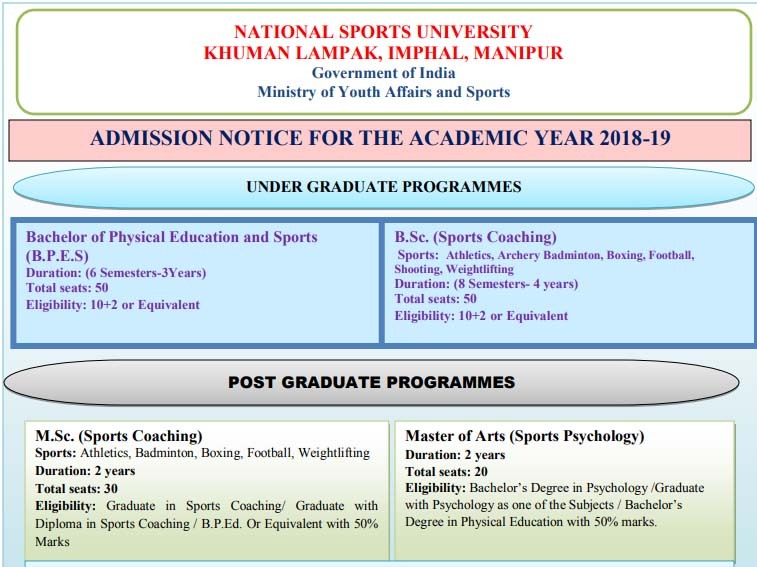 The completed application forms should be submitted to the Registrar, National Sports University on or before 15th July 2018.